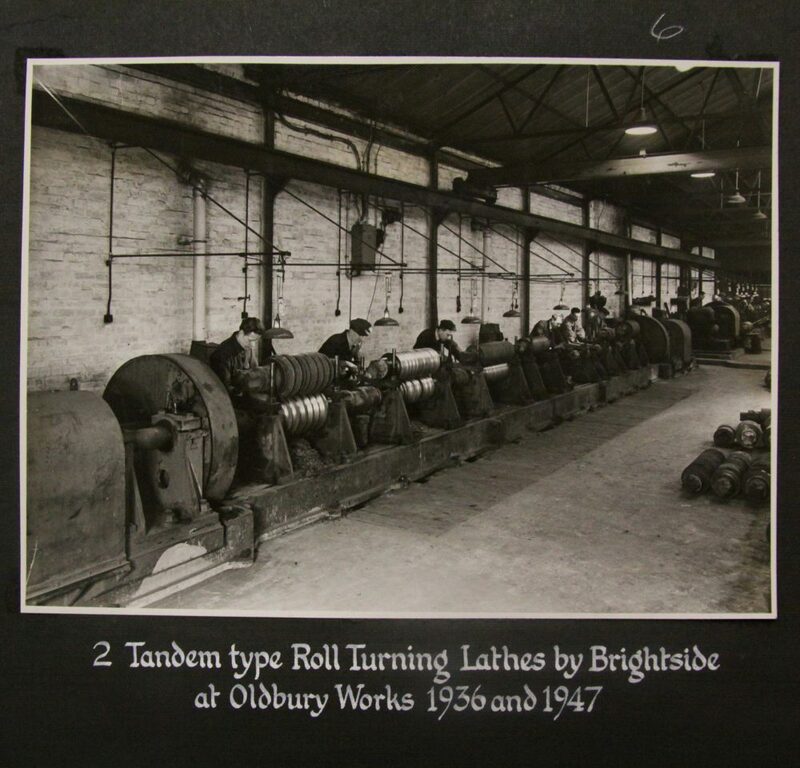 The London Works were first established in Oldbury as the Ebenezer Works on the mid-19th century. 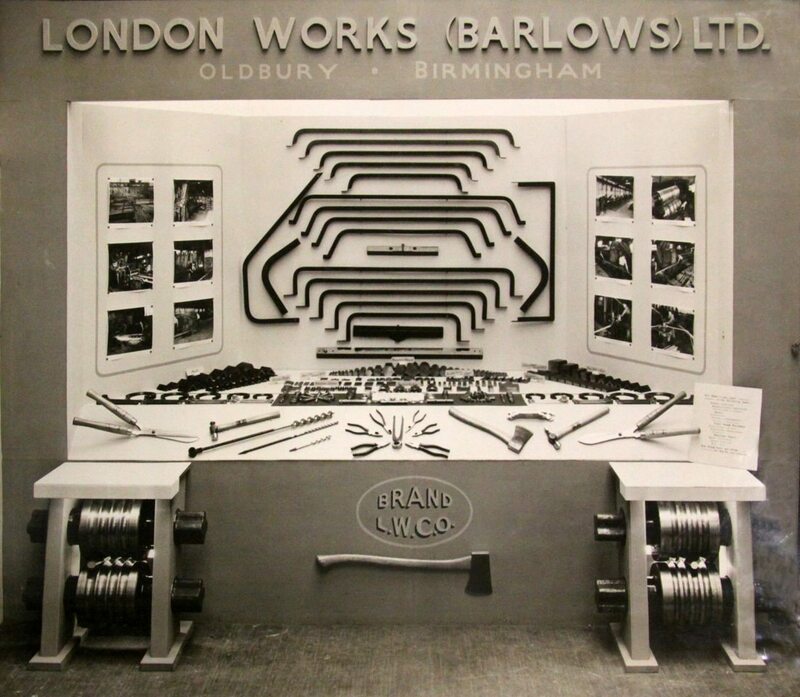 They produced the ironwork for the roof at Birmingham New Street railway station, and the iron framework for the Crystal Palace. 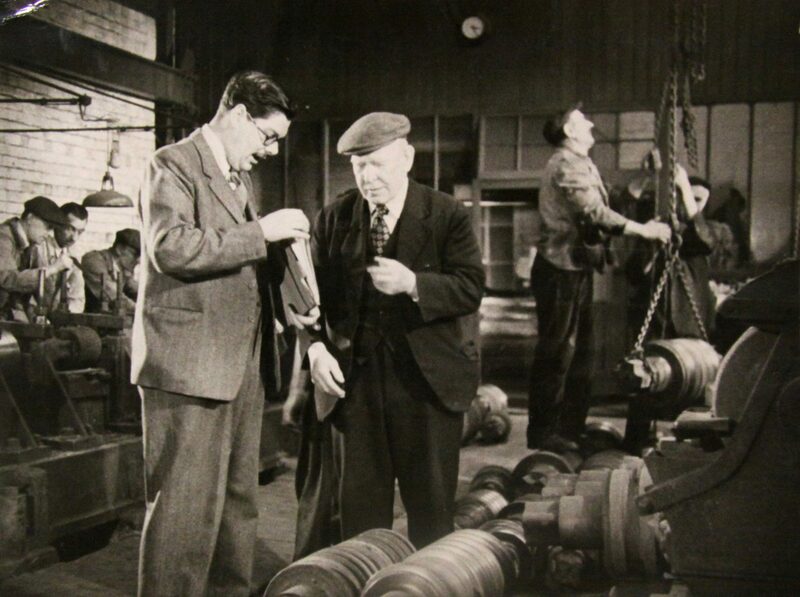 The Made in Oldbury souvenir brochure of 1949 reported that the Ebenezer Iron Works were locally known as ‘Split-the-liquor’ from the custom of the men frying their breakfast bacon in the communal pan and then dividing the ‘liquor’ or fat. 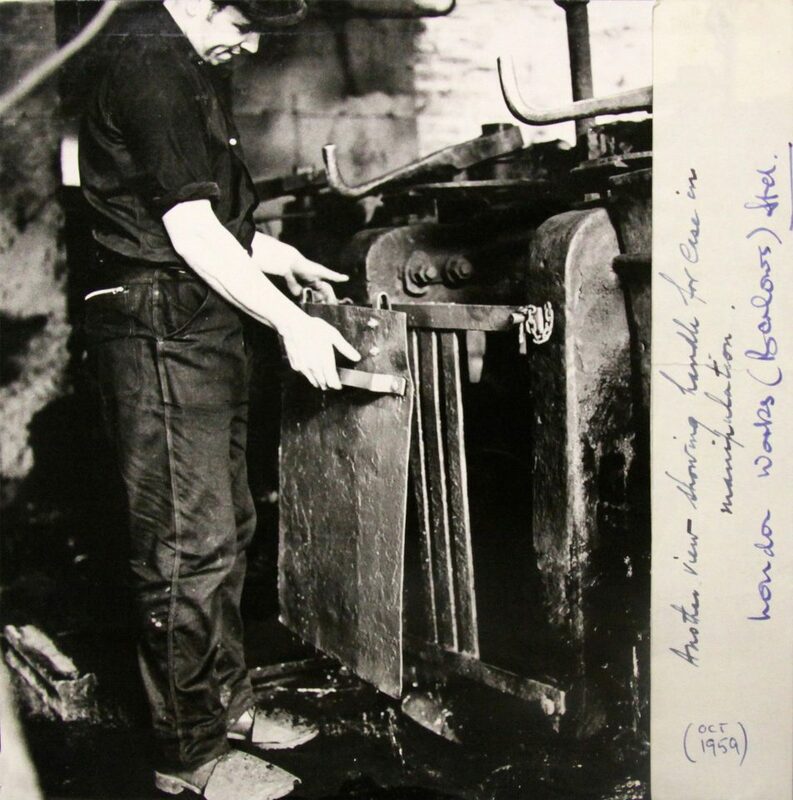 The name the London Works was brought from Smethwick in 1893. 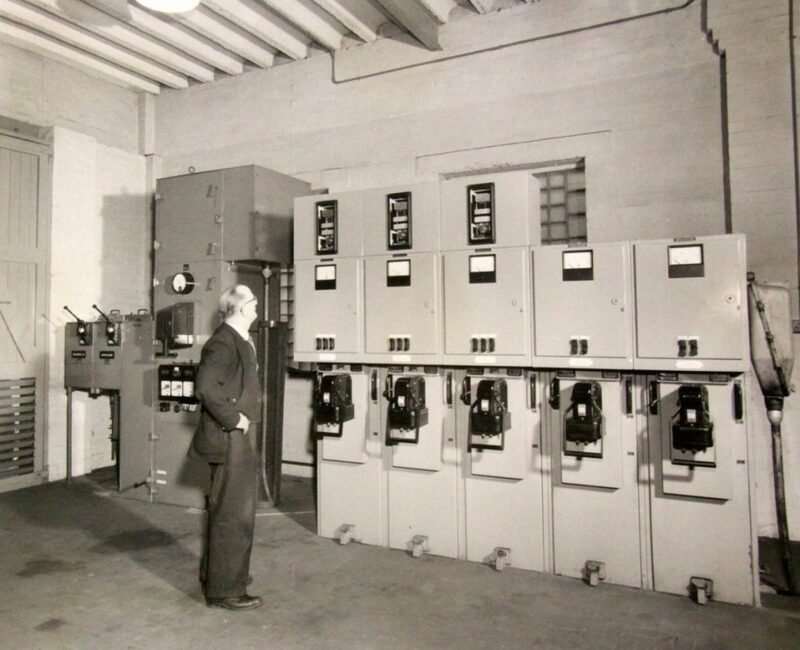 The exhibition stand at the Made in Oldbury Exhibition, Langley Baths, 1949. 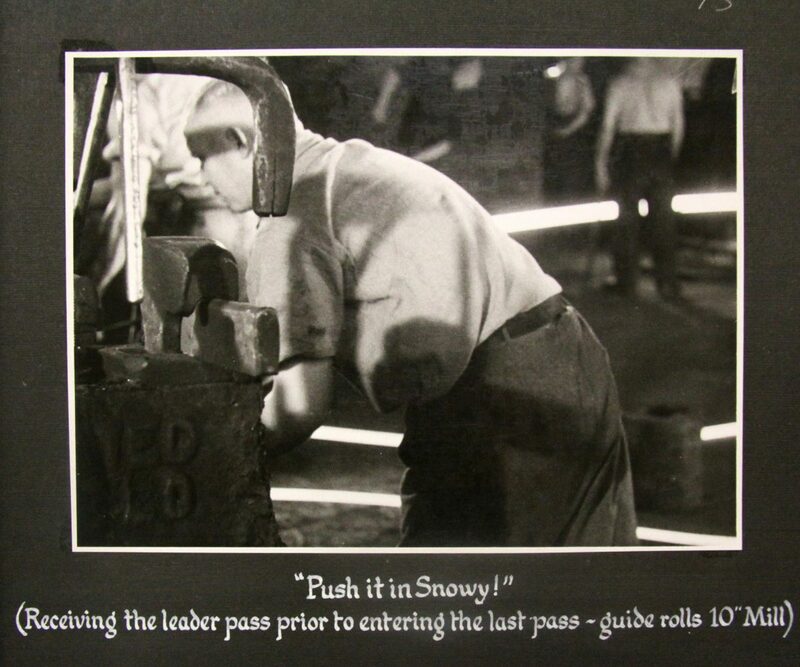 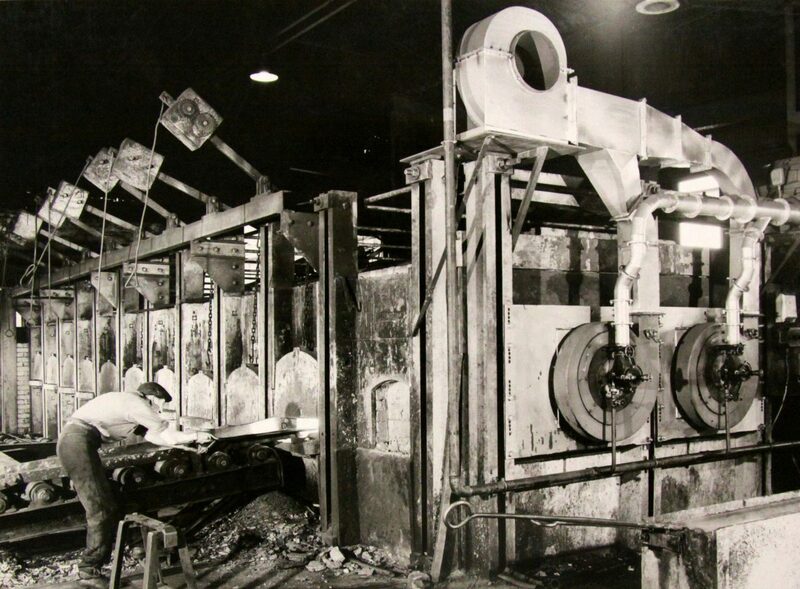 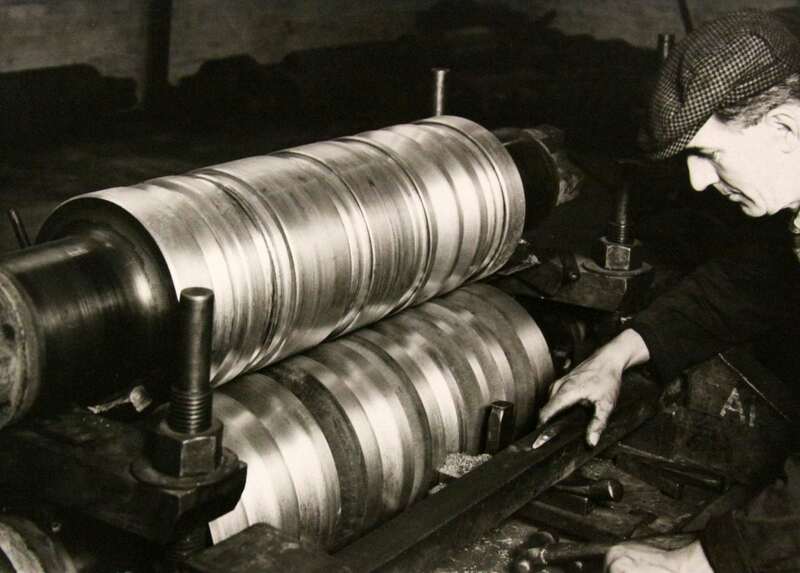 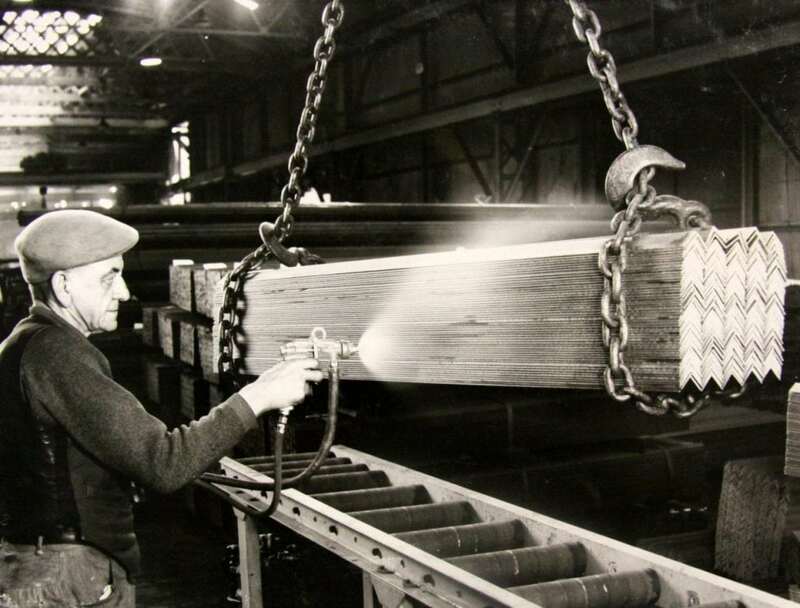 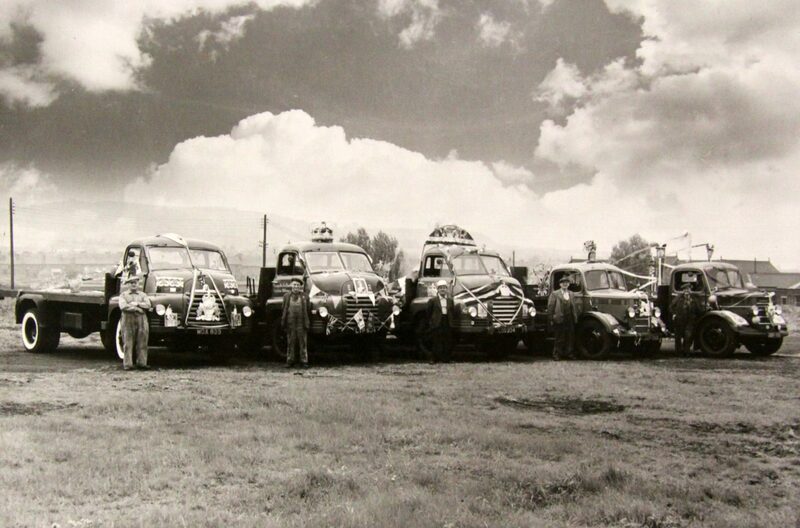 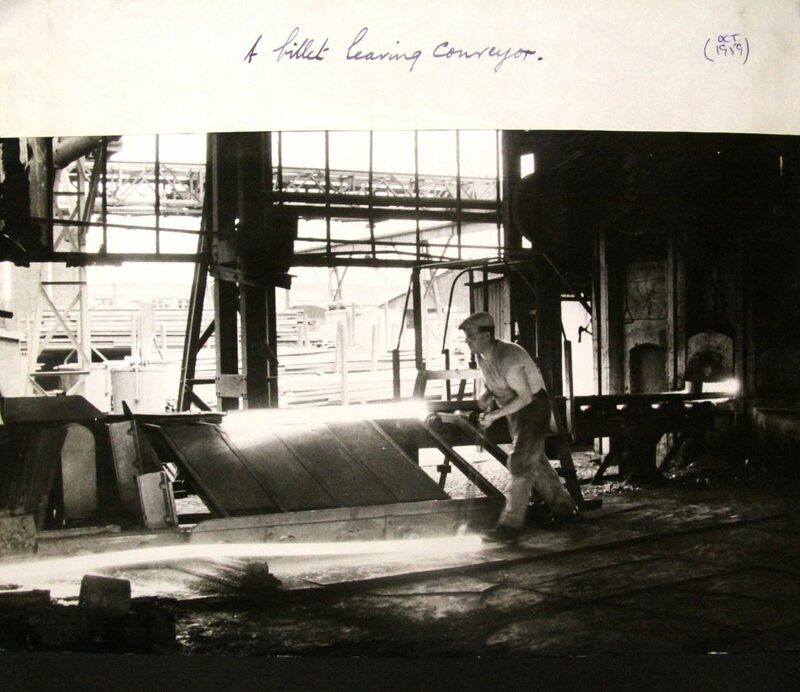 In 1949, they were re-rolling steel in large sections – rounds, squares, flats, T’s, hexagons, angles. 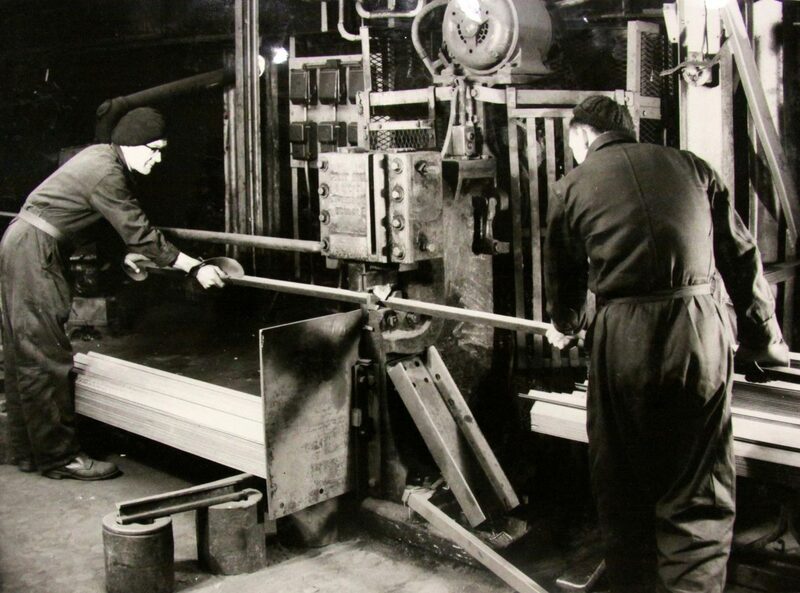 They made bedstead mattress frames and had been kept busy during at the beginning of the war years in the production of Anderson air raid shelters. 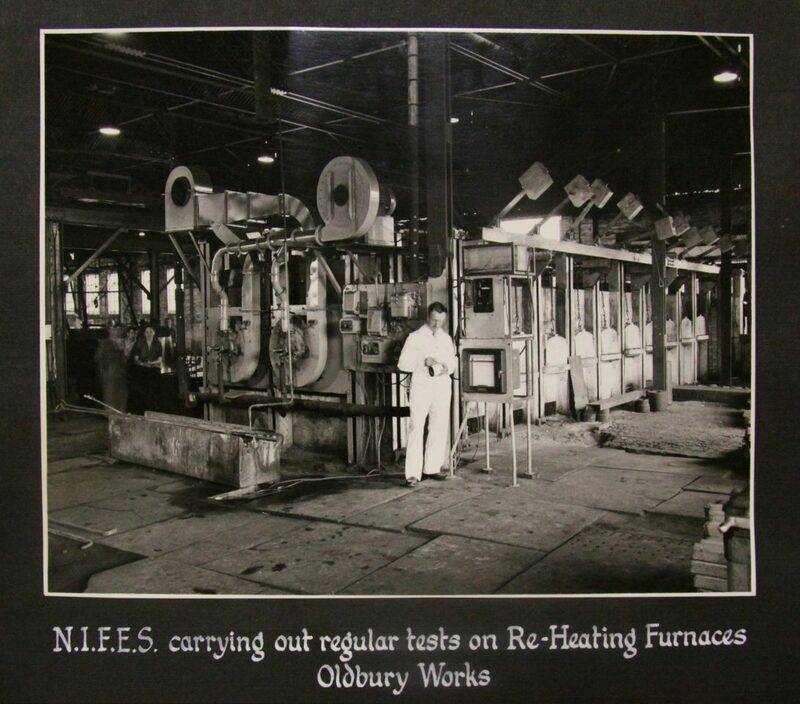 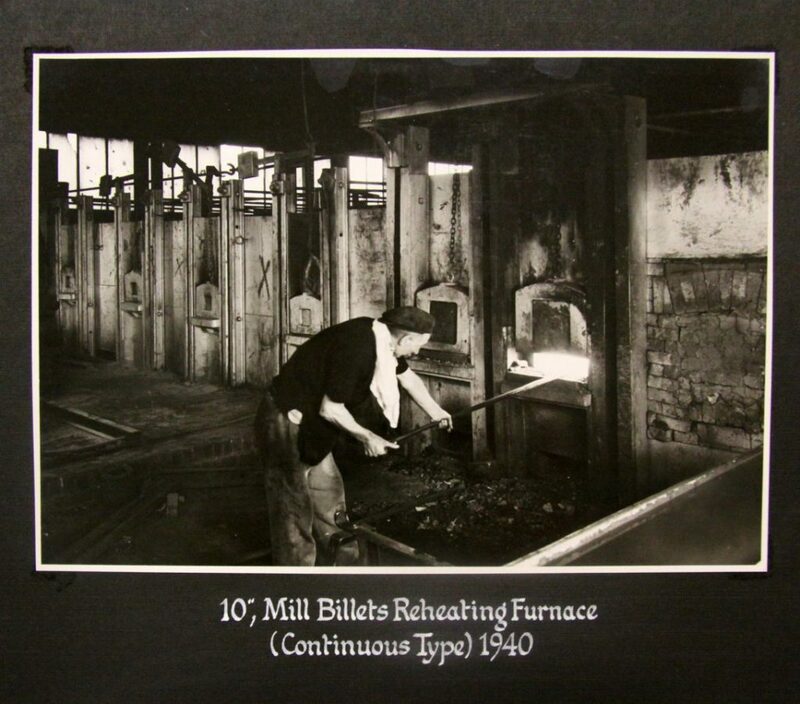 They produced black steel bars in their rolling mill by heating raw material such as billet and blooms at a temperature around 1200 C through a number of rolls to achieve the desired shape and size. 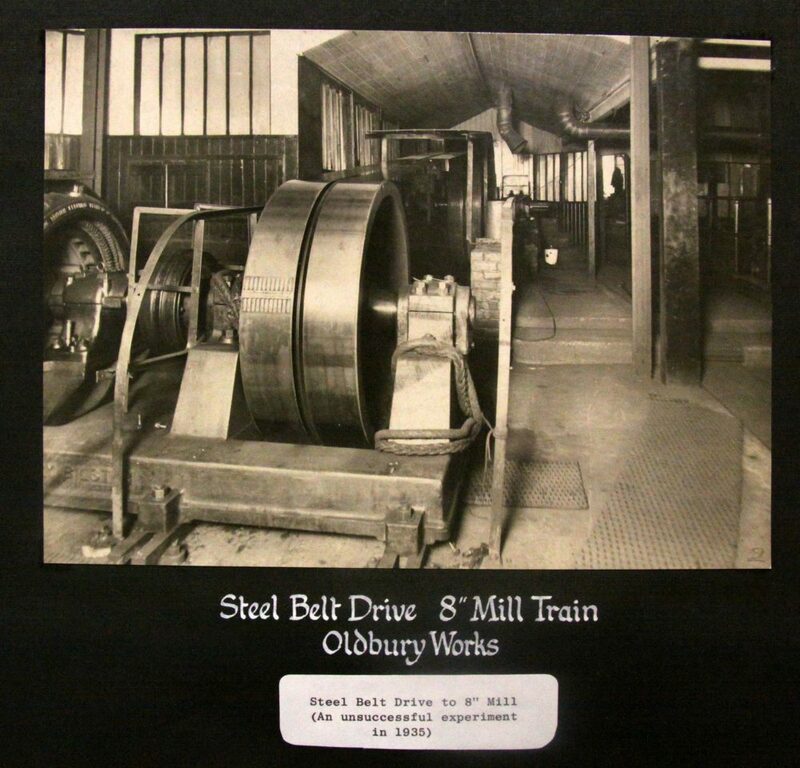 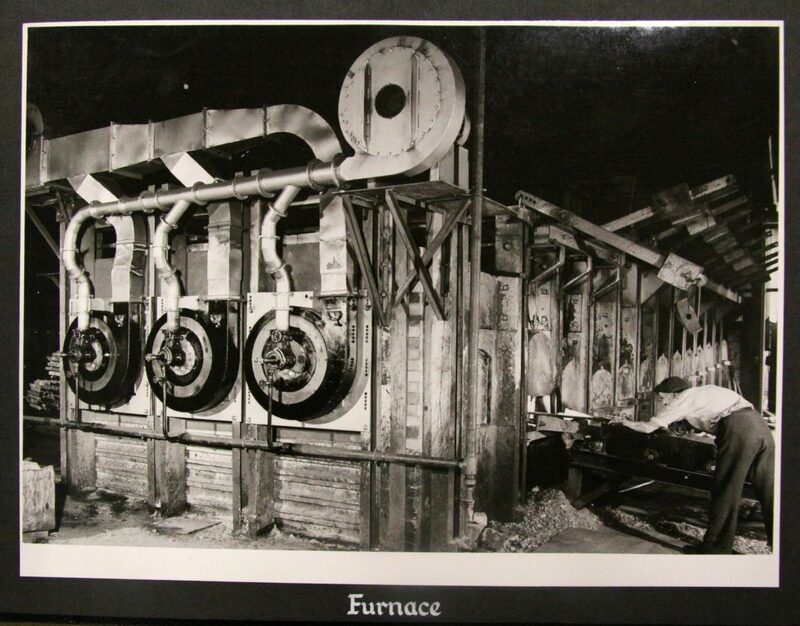 They produced steel which was sent to be components for cars, cycles and cotton spinning plant. 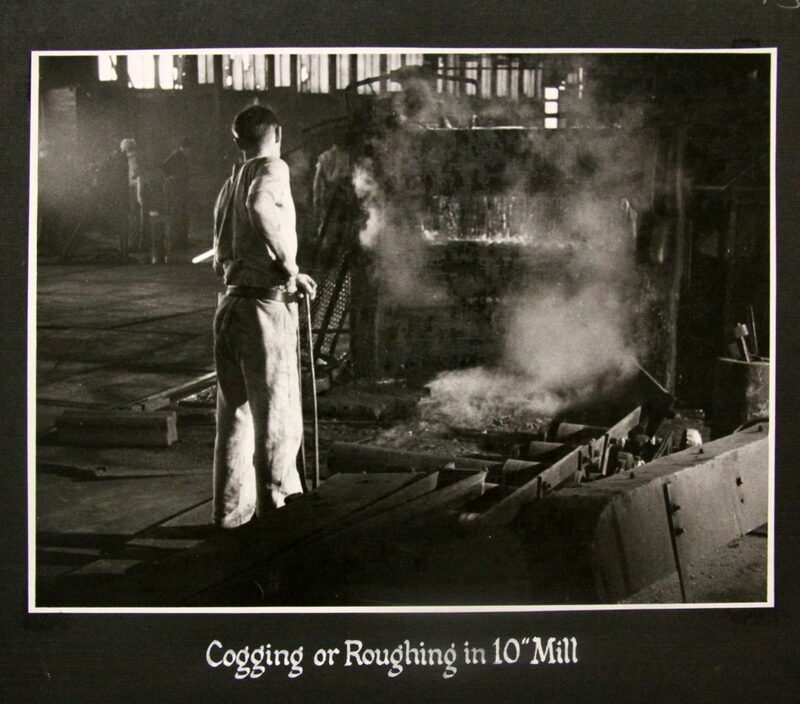 In 1949 they were producing 2,000 tons of steel a week. 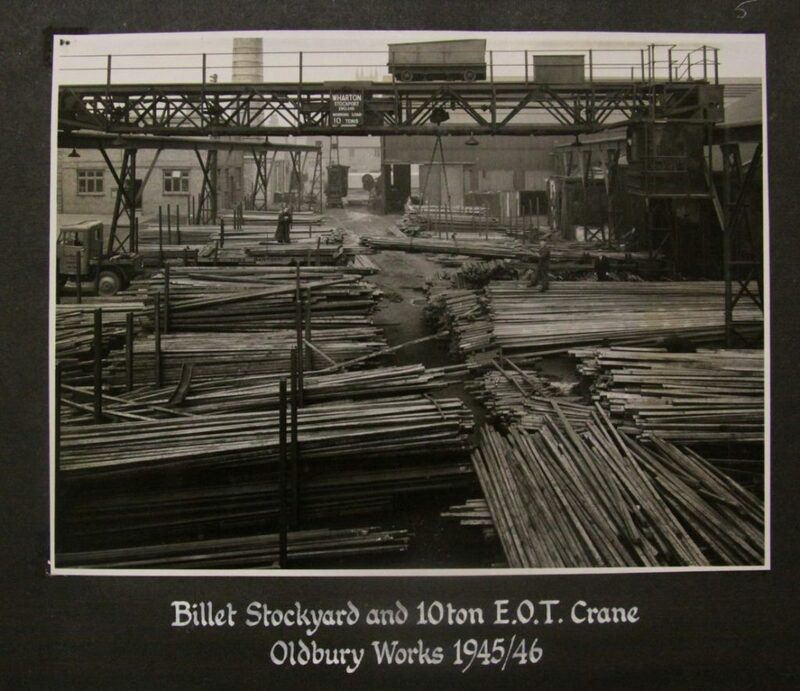 They were taken over by Duport, an industrial holding company based in Tipton and closed by 1978. 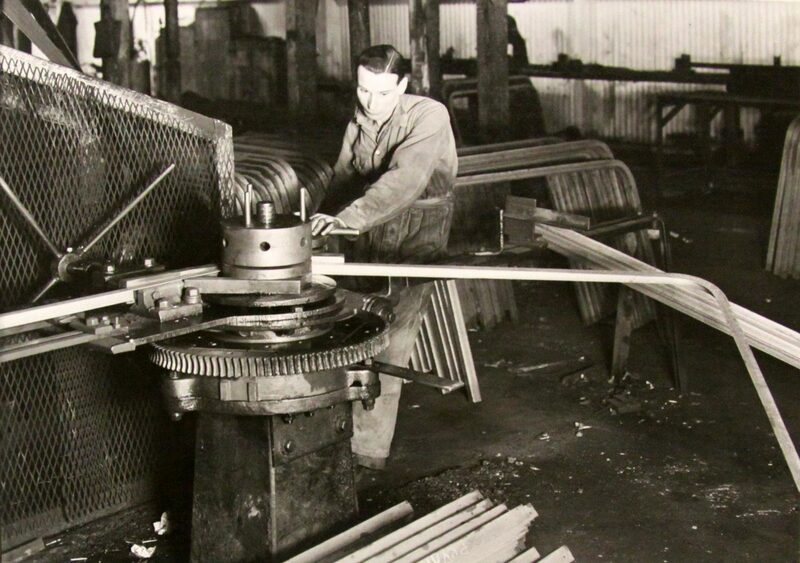 Operator Eddie Griffin bending half mattress frames (rail quality angles), Manipulation Department, 1937. 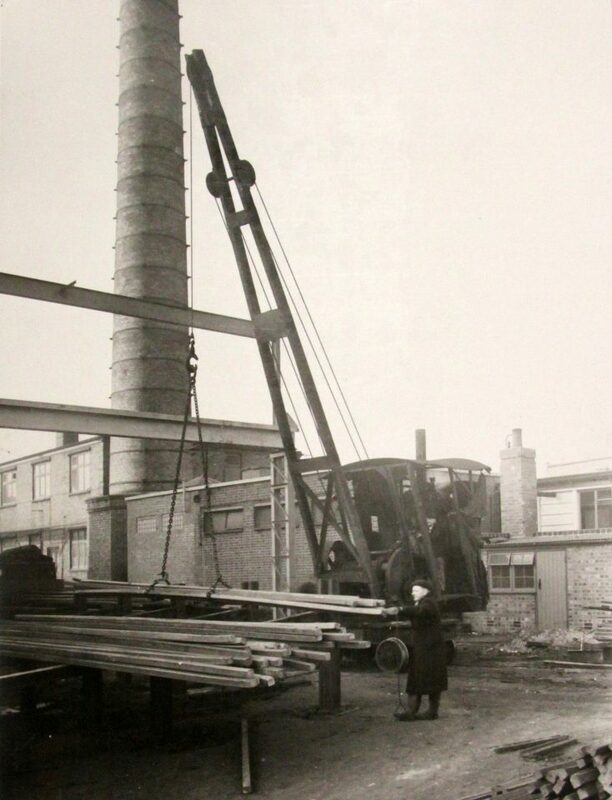 George Johnson, Crane Driver, 1956, with steam crane (replaced by a 10 ton E.O.T Crane. 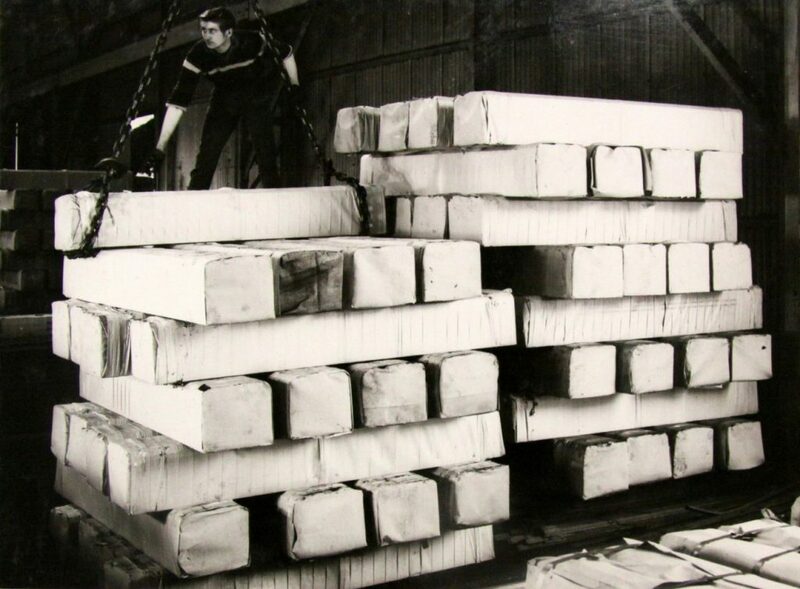 Wrapped angles for export, 1950’s. 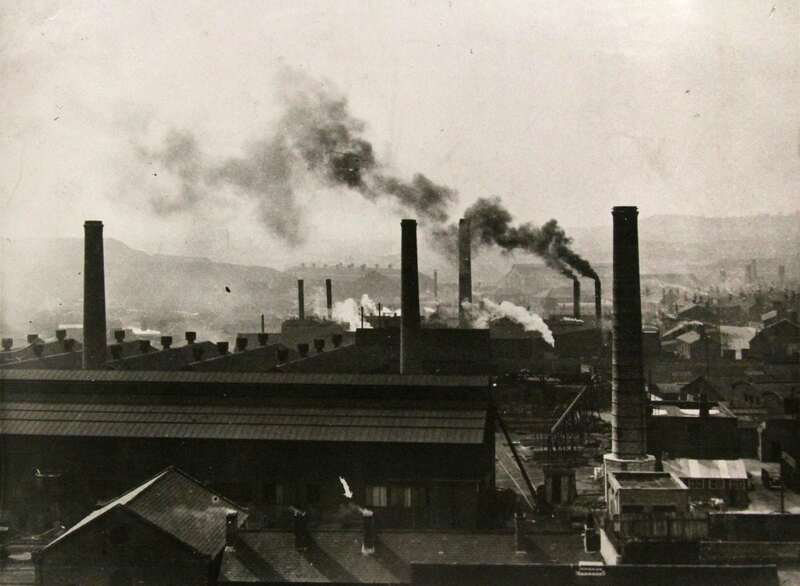 The view from Christchurch, looking over London Works, 1948.